An On line Multi-Agency Resource Center is open to help you answer your questions and provide available resources. On lineMulti-Agency Resource Center The hours Vary depending on the agency. The providing agencies are listed below, please click their name to visit their websites. From small house fires to multi-state natural disasters, the American Red Cross goes wherever we’re needed, so people can have clean water, safe shelter and hot meals when they need them most. Through volunteer labor and donations of money and materials, Habitat builds and rehabilitates simple, decent houses with the help of the homeowner (partner) families. Southern Baptist volunteers prepare most of the meals distributed by the American Red Cross and provide many other disaster services. Southern Baptists have more than 1,550 mobile disaster response units on call for local, state, and national emergencies, with more than one hundred thousand trained volunteers scattered across the nation. The purpose of the Utah Commission on Service and Volunteerism is to enable individuals, communities, and organizations in Utah to benefit from the service, power, skills, and passion of volunteers. Utah Food Bank distributes food free-of-charge to a network of 141 partner agencies located throughout all 29 counties of our state. The Housing and Neighborhood Development Division offers home owners a rehabilitation program that assists the owner with identifying code deficiencies, planning a project to correct the deficiencies and providing financing to fund the needed repairs. The financing terms are based upon the owner’s ability to pay and include a three percent, twenty year loan for those who can afford to make a payment, a zero percent loan with a payment dependent upon the household income level or a zero percent loan with payment deferred for a period of time, usually either one, three or five years. The terms of investor-owned home loans are five percent interest for twenty years. Staff from Housing and Neighborhood Development manage the project to ensure that all the repairs are completed according to the Division’s specifications. Economic development team is focused on providing customer service to the businesses that call Salt Lake City home. The Americans with Disabilities Act Coordinator for Salt Lake City will be attending. She will be able to help individuals with access needs and disabilities find resources and accommodations according to their specific needs. The needs of individuals with access needs and disabilities in times of emergency are so individualized. This is a good opportunity to find out what resources and services could be helpful for you. Identifies services available for people or family members with disabilities. May be able to provide case work or case management for impacted residents. 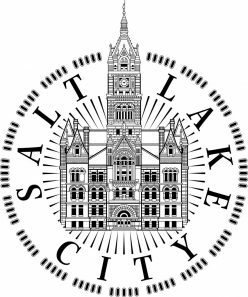 Salt Lake County Health Department (SLCoHD) can provide education to mitigate the potential health risks associated with flooding, such as instructions about proper cleanup of flooded areas and proper disposal of any sewage-contaminated items. SLCoHD does not conduct cleanup operations itself. The State Disaster Recovery Staff will be on hand to answer questions concerning FEMA and SBA disaster loan recovery programs. The Utah Insurance Department will be available to answer general questions regarding insurance as it relates to homeowners. State Staff will be available to answer questions concerning the National Flood Insurance Program (NFIP) and how flood insurance can be obtained.